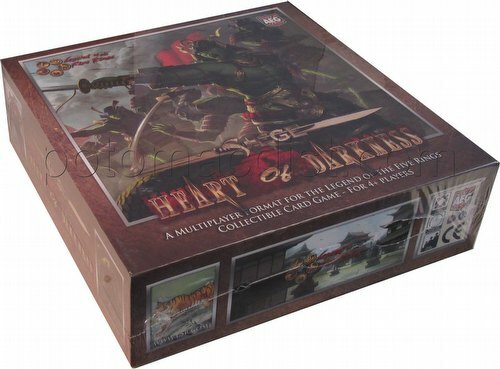 L5R Siege Heart of Darkness is a brand new way to play multiplayer Legend of the Five Rings. It pits multiple players as defenders of the city against one assailant piloting the Siege deck. Face the dread Dark Naga forces with either the 3 decks included in this product or with your own and take part in the defense of the Second City for the glory of the Empire of Rokugan. Heart of Darkness includes 3 Ivory-legal pre-constructed decks for the defenders of the city, 1 pre-constructed deck for the Naga assailant, 12 Clock cards, 6 oversized Territory cards, and 1 full color rules and story booklet.